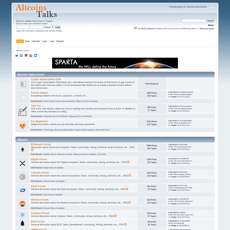 Bitcoin.com has a very interesting and highly active discussion board similar to BitCoinTalk. 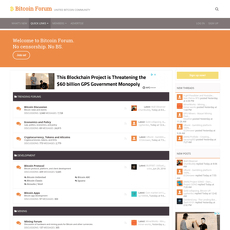 The forum is very well laid out and seems to attract a lot of attention from many different types of people, including experts in blockchain technology. 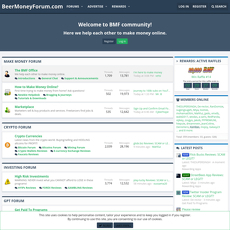 This is a great place to come as a newbie because you will find tons of informative information and intelligent individuals to converse with. 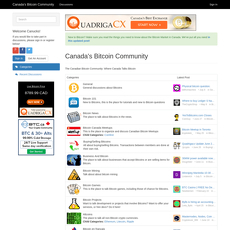 There are 58,581 members total and always seems to be at least 30 people online. 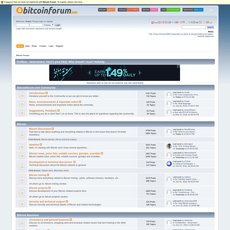 The forum also offers an area that includes over 20 languages for people to discuss bitcoin in. 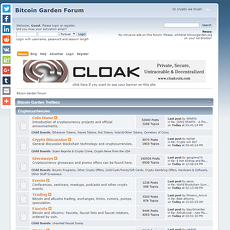 The forum is very active, with people online at all times. 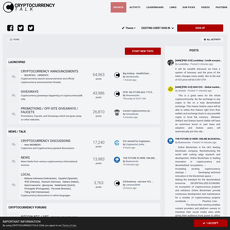 Offers a wide variety of topics and languages to connect with fellow crypto enthusiasts. 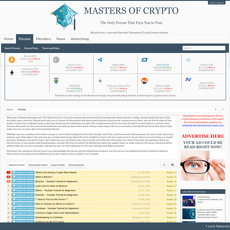 This is a fantastic place for beginners to learn. 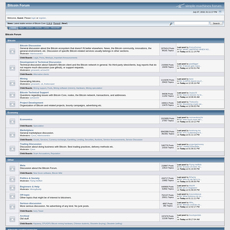 The forum offers tons of guides and already answered questions along with great discussion. 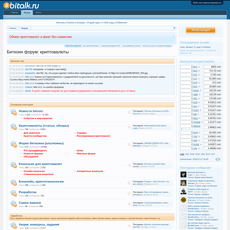 It also offers a place for people to ask professionals any questions they want. 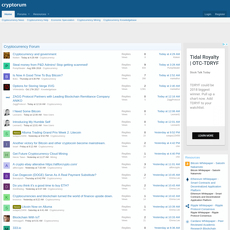 As with any crypto related discussion board, you absolutely must be careful. There are scammers. There are shillers. There are paid reviews, commenters, posters, etc. 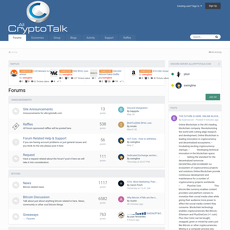 It doesn’t seem to be as active as BitcoinTalk, which is essentially the same platform.